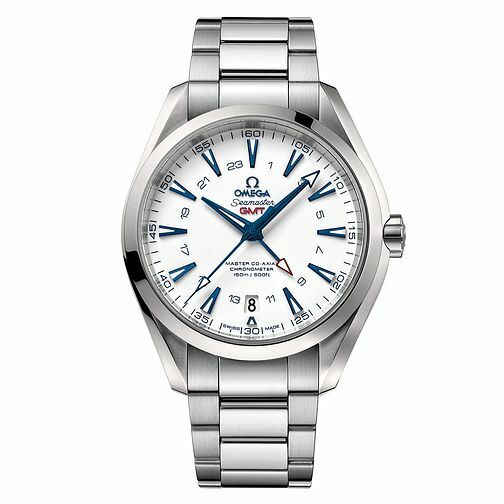 A simply chic stainless steel bracelet watch from Omega's Seamaster Aqua Terra 150M range. Features a white dial with date window and an intelligent 24 hour function this watch provides both high quality function and striking aesthetics. Powered by co-axial movements.